Over the last 12 years Old Saybrook High School students have contributed close to 65,000 hours of internship volunteerism within various organizations and businesses in the local community and beyond through our "School to Career" and "College and Career Readiness" Programs. Our primary responsibility is to provide our students with authentic opportunities to learn, grow and discover their talents and abilities both in and out of the classroom. In doing so, our students learn professional skills, have the opportunity to network and make connections with professionals in their desired career area, and gain confidence in the basis for their decision-making as graduates, among other things. It is our hope that Old Saybrook High School students leave us with an extensive set of tools and knowledge to help them achieve success in post-secondary education and the world of work. We love that our role allows us to personalize learning for students based on their individual preferences, passions, and needs. Old Saybrook High School is full of talented teachers that are experts at individualizing academics. We have the privilege of complimenting that with a personalization that goes beyond the classroom, often incorporating a student's personality, dreams, goals and future vision. Helping students to make connections between what they are learning in the classroom and the outside world is also an exciting part of our job. It goes without saying that working in a community such as ours, one of the most enjoyable responsibilities we have is building relationships with the local business people. The Business Connections Hour breakfast has been invaluable to us because it allows us to share our goals and vision with the community and to build lasting partnerships. The College and Career Readiness Program could not function without the Chamber and the relationships that we have built as a result of our membership. We both enjoy running, are animal lovers, and adore spending time with our children. 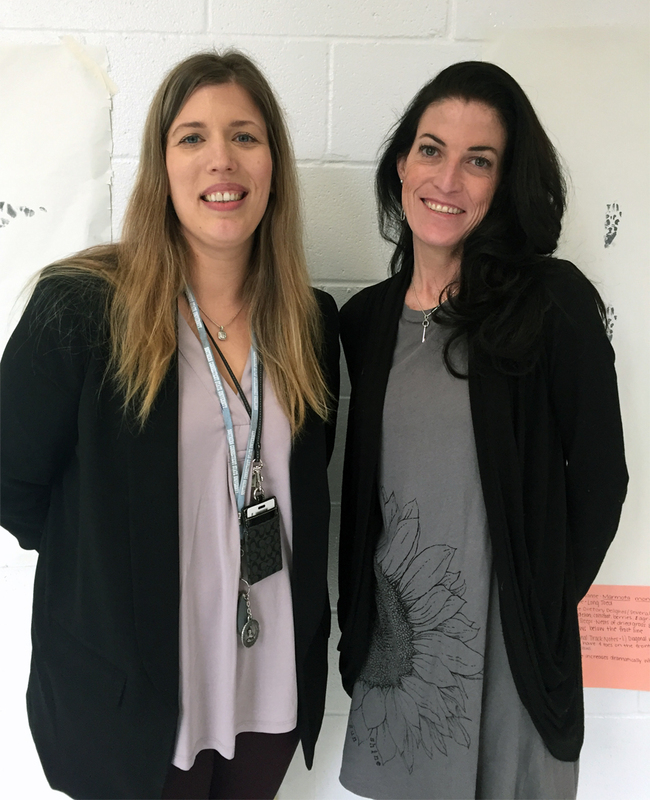 Carina is mom to a 15-year-old Lyme-Old Lyme High School sophomore, and Sarah is mom to 19-month-old twins. We believe that success is about fulfillment of that which is deemed valuable to an individual and something that is not about a specific place or time. We try to help our students to see success as a process that includes an ongoing journey of identifying, setting, adjusting and achieving goals. How to be successful?? Challenge yourself to surpass your goals and assess your strengths and weaknesses fairly and thoughtfully so you may continually raise your personal bar of excellence.